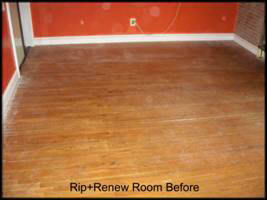 the largest wood floor refinisher in the world! 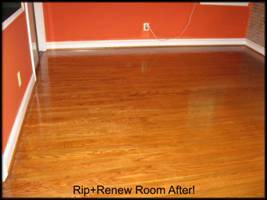 Mr. Sandless has been featured on HGTV’s Rip+Renew show 4 times, and has high profile clients such as The Smithsonian in Washington DC and Children’s Hospital in Philadelphia and has served literally tens of thousands of customers worldwide! Several months after I had refinished my first wood floor with the Mr. Sandless System, I decided to try my solution on my deck. 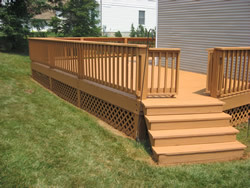 Every single year since have owned my home, I have had to re-stain my deck, steps, spindles and handrail. It really was a tedious duty, and unfortunately for me had become the “rite of Spring” at my house! That year, I decided to try and see if I could get an extra year out of the staining, by sealing it with my own brand of sealer. That was 8 years ago. 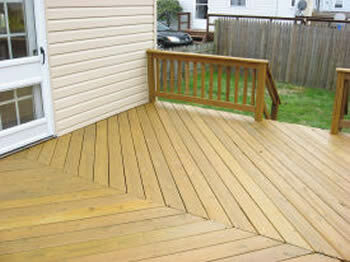 The color stayed in the deck and all the wood for nearly 5 years! 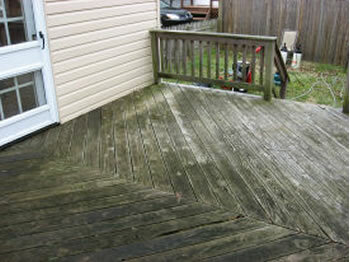 That is when I knew I had to bring this service, an outdoor version of the Mr. Sandless service to the world!